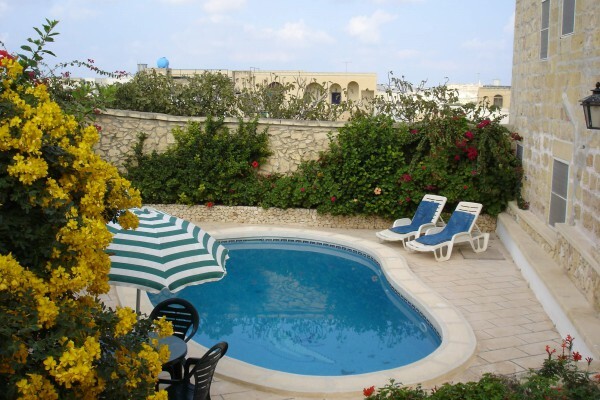 Iz-Zabbetta Farmhouse, a quaint and rustic Gozo holiday home located in the village of Sannat. This 100-year-old semi – detached property is overlooking un-obstructed country views. One bedroom is located on the ground floor, while the master bedroom and the third bedroom are on the first floor. It enjoys an arched sitting area, which has been furnished with cane furniture, and a Sun terrace overlooking the fields that surround the property. Its pool area is very large and secluded.